For the love of scarves. Happy Wednesday! 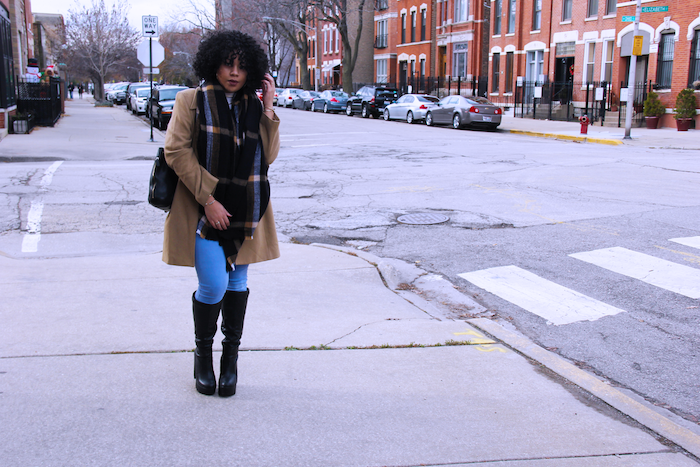 Who’s ready for a new style post?? 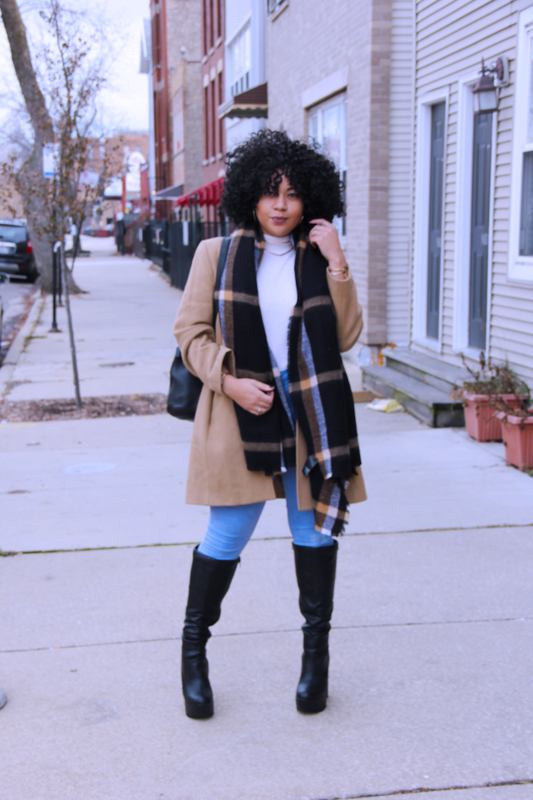 I feel like this coat will be featured throughout a lot of my winter style posts.. it just goes with everything! Let’s not forget to mention that it was thrifted and I probably paid less than $10 for it. 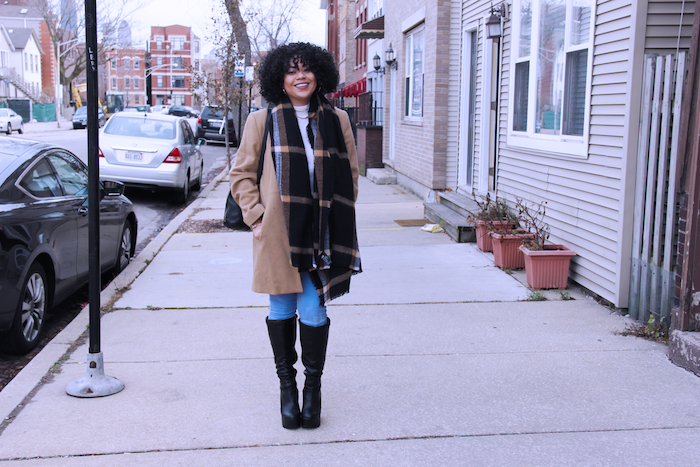 I paired my fave thrifted coat with two more items that I picked up on Black Friday. First, is this awesome scarf that I got for only $6.99 at H&M! 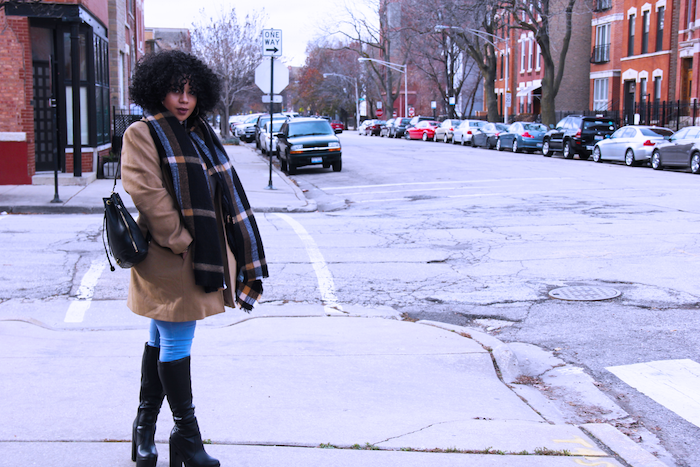 I’m always talking about how a statement coat can make your look during the winter…but a scarf can totally do the same. There are so many beautiful scarves and faux fur collars that I’ve seen recently and I just want them all! I also picked up these lovely platform knee high boots. Thigh high and knee high boots are definitely going to be my go to this winter. I used to stray away from them but I’ve totally had change of heart! 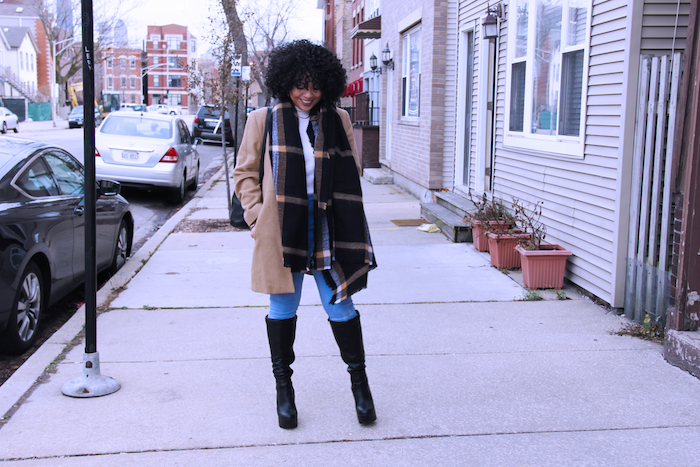 What’s one of your go to clothing pieces or accessories during the colder months?